Income-Tax (I-T) authorities on Wednesday conducted raids on ABG Shipyard Ltd, a leading shipbuilding and repair firm. The raids were conducted at 25 places belonging to the company and its owners in Mumbai and Surat, Dahej near Bharuch, and Bhuj in Gujarat. 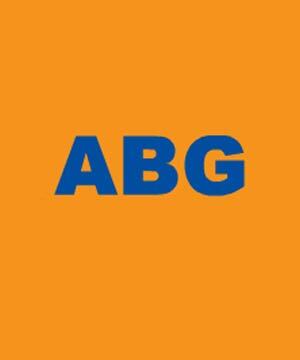 ABG Shipyard has one of the country’s largest private sector shipbuilding yards at Gujarat. After Director of Income Tax (Investigation) Boota Singh issued a search warrant, around 120 I-T staffers carried out the raids till late Wednesday night. The raids are expected to continue on Thursday. The officials seized documents related to the purchase of a plot in Parel in 2007. Though the plot was worth Rs 65 crore, the firm had allegedly shown its value as Rs 200 crore. It had taken a loan to buy the plot. I-T authorities also found that the firm had bought another plot in Surat where a large part of the payment was in cash. A senior I-T official, requesting anonymity, said the firm was also found to have inflated expenses in purchase of material required for shipbuilding and repair to hide profit. During the raids, the I-T staff also found cash and jewellery at the Bhulabhai Desai Road residences of the owners of the company. They are still counting the cash and getting the jewellery valued by experts. The authorities also seized the firm’s business related documents, account books and other finance-related material and then recorded the statements of independent witnesses and those of the firm owners and other senior officials. “We are verifying the documents to find out exact amount of tax evasion,” the official said, adding that the department will check the returns filed by the firm in the last six years to verify if there was tax evasion. The company officials could not be reached for comment as raids were on.